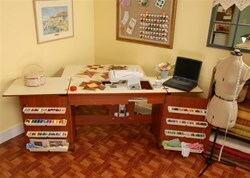 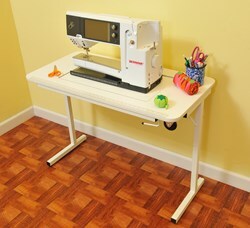 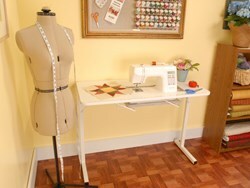 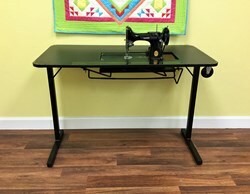 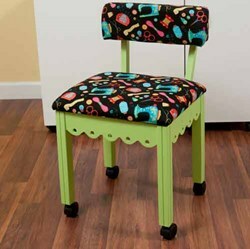 Our Sewing Chair is a perfect accessory for any craft room. 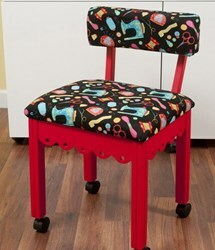 This red painted chair has cute gingerbread scallops. 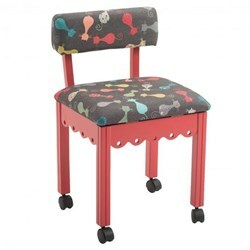 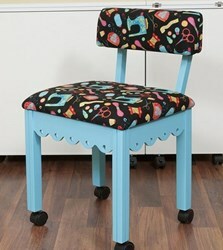 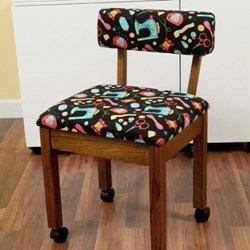 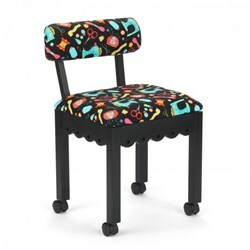 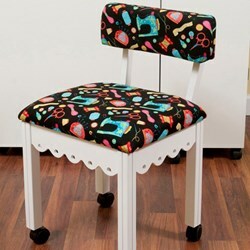 The chair’s fabric is a heavy-duty cotton upholstery fabric in Riley Blake’s Bright Buttons on Black.